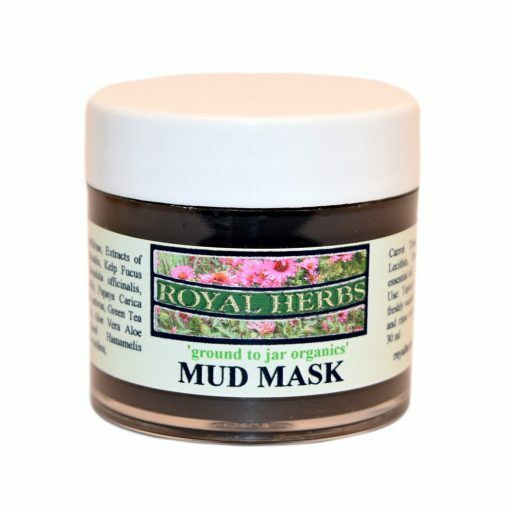 This facial mask features mud from the Dead Sea – extremely rich in vitamins and minerals that cleanses and replenishes your skin. Pamper your skin with this luxurious exotic treatment. 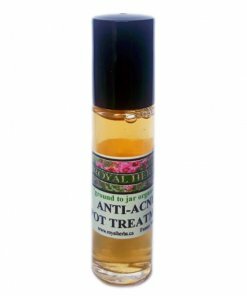 Royal Herbs Spot Treatment Roll-On is a natural blend of Witch Hazel, Lavender Hydrosol, Calendula, and Echinacea. This two in one daily cleanser and weekly mask replenishes without drying out your skin. 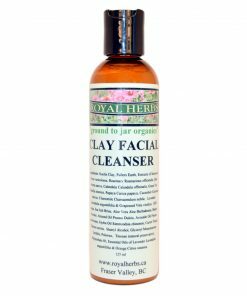 Royal Herbs Clay Facial Cleanser nourishes your face with luxurious ingredients such as Kaolin Clay, Aloe Vera, Honey, our own extracts of Sea Kelp, Calendula, Rosemary, Cucumber, Papaya, Green Tea and Grape Seed, along with Carrot tissue and exotic nut oils. 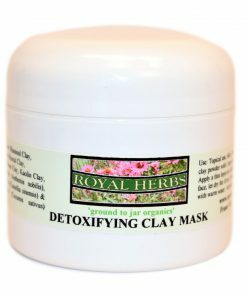 Kaolin Clay is the purest and best clay on the market. Canadian Glacial and Rhassoul Lava clays are combined to provide a detoxification to draw out impurities from the skin without over drying and stripping. This organic product is made with Cold Pressed Extra Virgin Olive and Castor Oils and includes botanicals such as Oat Protein, Vitamin E, Aloe Vera & Carrot Tissue, as well as our own extracts of Cucumber, Papaya, Green Tea, Grape Seed, Sea Kelp, Rosemary & Calendula. 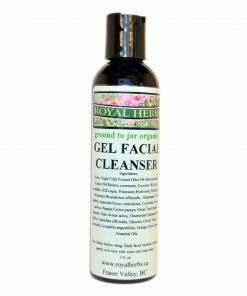 Royal Herbs Gel Facial Cleanser is a natural daily cleanser that does not contain any laurel sulphates. 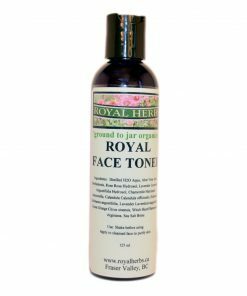 Royal Herbs Face Toner is a natural blend of Witch Hazel, Lavender Hydrosol, Calendula, Echinacea and therapeutic essential oils to cleanse without stripping.